Silly, right? An insulin bottle ornament… But, when this horrendous disease is conquered, these bottles will be relics...perhaps becoming a unique favorite ornament in the near future. It’s beginning to look a lot like Christmas. 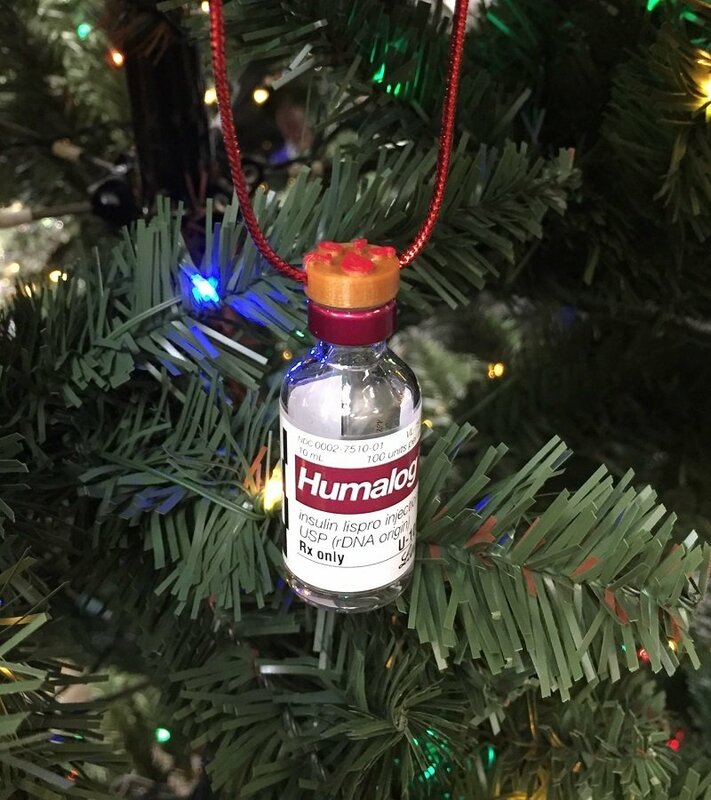 This is our new Insulin vial ornament topper. Gold color plastic with raised hand painted “2018” and drop detail with metallic-red cord loop. Permanent die-cut 3M adhesive with a peel off backing makes it easy and simple to install onto an empty insulin bottle. Peel the backing off, press on to bottle top, done. Allow 1-3 days to process. Empty bottle not included.